Early December 2015, I was photographing the World Air Games in Dubai; a 12-day event where pilots from all over the world compete in all kinds of Sport Aviation disciplines; call it "The Olympic games of Aviation". December 9, was meant to be another great day with beautiful flying weather and the "Microlight"category competing at the Skydive Dubai Palm drop-zone. After the motorised delta microlights (DPM), the gyrocopters were next. These small rotary aircraft are sometimes looked at as being a mix between a small helicopter and a microlight. While years ago they used to have the reputation of being not the safest flying machines, they have evolved into a very safe and fun way of flying! He eventually lost the battle due to his injuries and passed away on . A shocking experience that as a fellow aviator, will be engraved in my memory forever! I will never look to these beautiful waters in the same way! The image below of the place where disaster struck, is a tribute and in Memoriam to a fellow Aviator who as doing what he loved! Rest in Peace Arend! 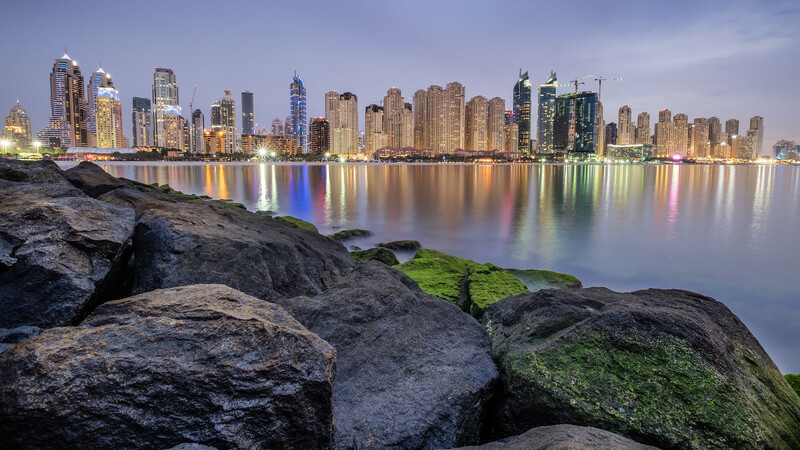 I do not want to go into the cause of the crash here, but those of you that want more info and learn some valuable lessons, can have a look at the preliminary accident report by the UAE GCAA, here. Remember: "To most people the sky is the limit, to those that fly, the sky is home". A while ago, I was cruising low and slow in my 1954 Piper Super Cub, over Flanders Fields. It was cold, flying with the side door open, but boy did I enjoy the view! It made me think how almost one century ago, life in the West part of Belgium, was a very different world. WW I, had being going on for 3 years and life was hard back then. Very unlike the peaceful scene I was witnessing today. I was now flying over the area where exactly 99 years ago, the Battle of Messines took place (7 and 14 June 1917). On June 7 1917, 19 underground mines which had been installed by the British/Canadian and Australian, Engineer Tunnelling company, were detonated simultaneously, killing more than 10.000 people. Rumours have it that the explosions could be heard across the UK! Today one can see the huge craters these explosions left behind. Of the 21 mines laid, two did not explode. One of the two exploded in a thunderstorm in 1955, while the second one is still officially undetected. In recent years its location is however meant to have been pinpointed. No one has attempted the recovery! 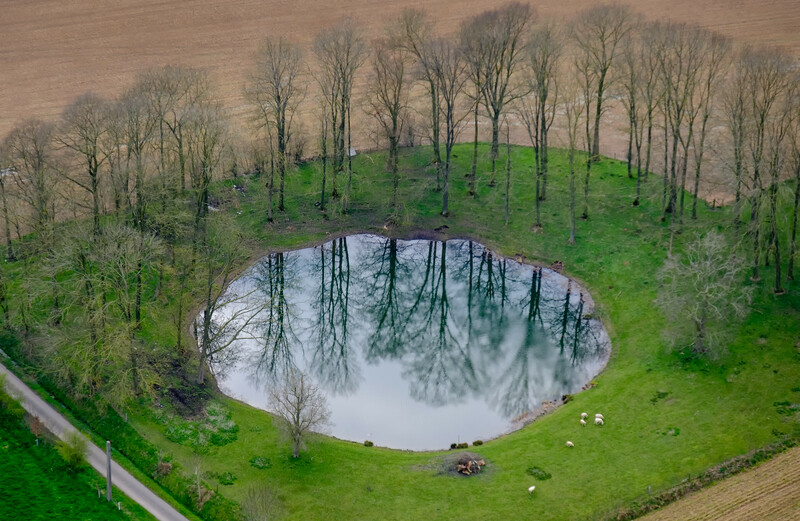 In the image below of the Trench 122 left crater (60m/195ft diameter), I was particularly attracted by the reflection of the trees around it. Please click on the image for a full screen view. I've praised the Fujifilm XF18-135 for aerial photography in a previous blogpost a few months ago and still maintain my position. End of this month, I'm however planning to do some aerial photography in Belgium and France, with the Fujifilm XF90mm f2 prime lens. A razor sharp piece of glass which I reviewed over a year ago (review here), but which I haven't really shot since. My Aerial photography work can be found here. Most of the blog visitors probably know that I fly airplanes for a living... While this is foremost a photography blog, sometimes aviation and photography meet in the middle. Such is the case for todays Pic(k) of the week! It is hard to believe it has been more than 11 years since the worlds largest passenger plane took to the skies for the very first time in Toulouse, France. While the Airbus A380 did its maiden commercial service in October 2007, I've flying the 575ton double decker Airbus for just under four years now. When looking back on the experience, I personally think it is the "best flying" Airbus I've flown (A319/A320/A321/A330-200/A340-300 and A340-500) and even several years after the entry into service, passengers are still specifically booking flights to get on an A380; loving its spacious and quiet cabin. It might not be the most pretty of the airliners, but it sure moves a lot of people and it does so in total comfort! A few days ago, I was airborne with 650 people; more people than the total population of some of the smaller villages back home in Belgium! 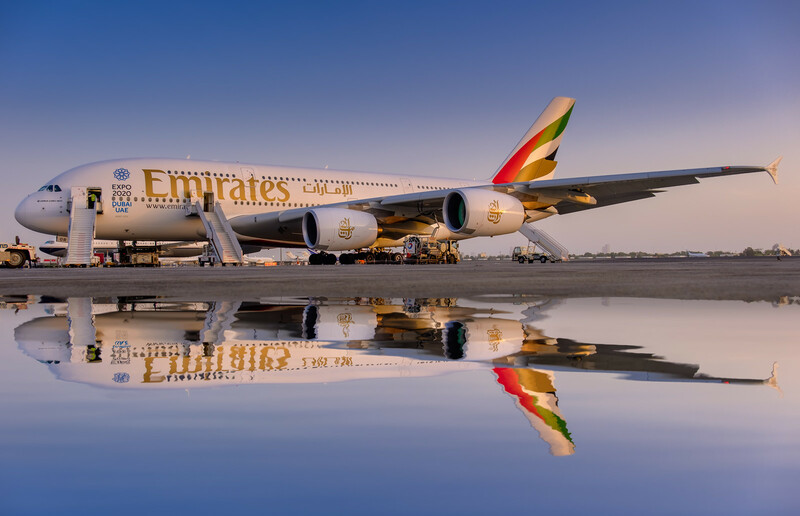 Back to photography... last week, I asked the local fire-brigade to spray some water in front of a parked A380, in order to come up with an interesting reflection and commemorate the big mamma! No, just kidding. I did add the reflection in Photoshop to give the image a more interesting perspective. I guess for a very modern and technologically advanced aircraft, one can use some more advanced photoshop techniques! Although I'm not sure he did it in Photoshop, I had initially seen the technique been applied by Austrian Aviation photographer Dietmar Schreiber. Since I'm not really a Photoshop expert, I decided to follow an online Youtube tutorial made by PSDesire. I'm pretty happy with the natural looking result of the reflection and would like to hear what you think. More images of the Airbus A380 can be found here. Remember what Wilbur Wright said in 1909 : "No airship will ever fly from New York to Paris". Today, June 6, is 72 years since the Allied forces crossed the English channel to land on the beaches of Normandy in Western France, marking the beginning of the liberation of Nazi control during WWII. By days end, 155.000 Allied troops (Americans, British and Canadian) had successfully stormed the beaches. 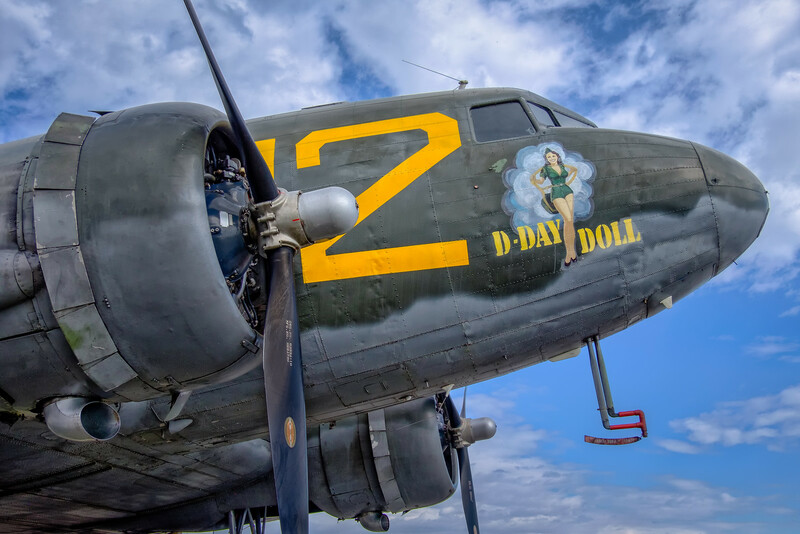 "D-Day Doll", a 1943 C-53D Skytrooper flew three combat parachuting drops on D-day, each time with 28 paratroopers of which many never came back... The C-53D is a variant of the civil Douglas DC-3 Dakota and is often confused with the C-47 Skytrain, another military variant which had a reenforced cargo floor and large cargo door and which was produced in much higher numbers. While only 380 C-54's were manufactured, more than 15.000 C-47 rolled of the assembly line. The C-53D below, which was photographed at the Planes of Fame airshow in Chino, CA end of April, is one of the only remaining flying C-53D's which flew actual combat missions on D-Day. The entire gallery of the great Planes of Fame airshow in Chino, CA can be found here. Whenever I'm on a layover with the airline I fly for, I always try to do at least some photography. Most of the time this consists of a pre-planned trip outside the hotel, but a few days ago I had a bit of a lazy day and decided to limit myself to the grounds of the hotel itself. The Shandrani Resort and Spa on the island of Mauritius is a perfect setting to do some interesting photography within the confines of the resort. 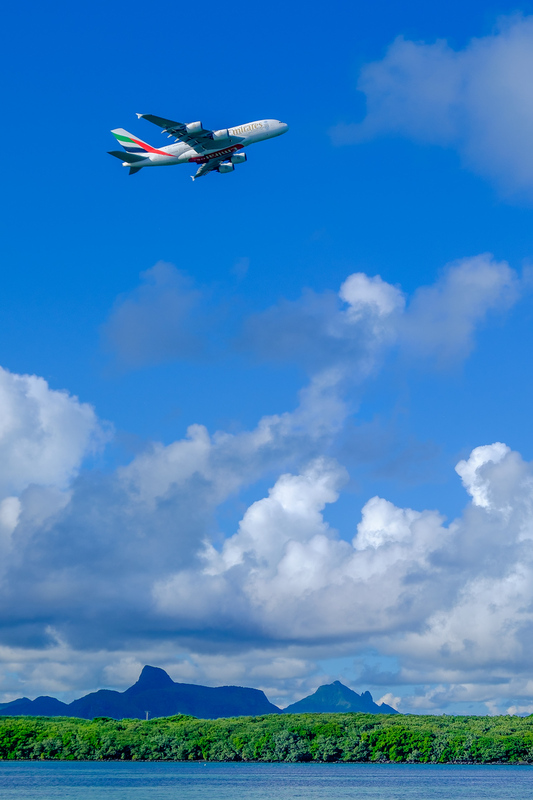 Plenty of photo opportunities from the beautiful white sand beaches, through some spectacular tropical trees and dramatic landscapes to aircraft spotting! As the sister ship of the aircraft I flew in on, left the tropical Indian Ocean island, your "lazy photographer" framed a few images from the comfort of his beach chair. Now that I'm approaching the 2 year mark of being free from all DSLR cameras, I can honestly say that I have not yet left the country without at least one of my Fujifilm X-series cameras; something that definitively could not be said during my DSLR days!